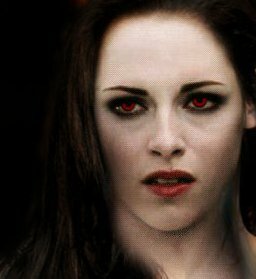 Bella as a vampire. . Wallpaper and background images in the Mafuatano ya Twilight club tagged: twilight twilight series breaking dawn bella twilight saga vampire. is it real??????? it seems sooo much!!!!!!!!!!!!!!!!!!!!!!!!! I dont think so. They look like Dakota's eyes when she's Jane.